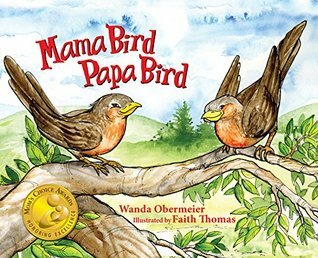 Synopsis: Discover the deeper meaning of family as Mama Bird and Papa Bird provide questions that will have young children eager for answers. Review: I would give this 1 star but the illustrations are nice. The story, on the other hand, is horrific. First, the birds would know they're about to lay an egg. Second, they'd know where it comes from. Third, no one, ever, talks like that. I have no idea why ANYONE would give this book an award. I was totally disappointed.